Air Liquide is a French multinational company that supplies oxygen, nitrogen, hydrogen, and other industrial gasses as well as services to a wide range of industries, including healthcare, chemicals, and electronics. Founded in 1902, the company is a global leader in its field, with a presence in 80 countries and approximately 68,000 employees worldwide. In 1998, Air Liquide and Yokogawa reached a global agreement whereby Yokogawa became Air Liquide’s preferred global supplier of process control systems. This was the result of an intensive yearlong technical and commercial evaluation by this company’s headquarters. One of Air Liquide’s basic motives for this agreement was the need to maintain global competitiveness. Yokogawa’s global support organization, recognized reputation for superior product quality, and proven track record in consistently delivering high-quality engineering services were all factors leading to this agreement. 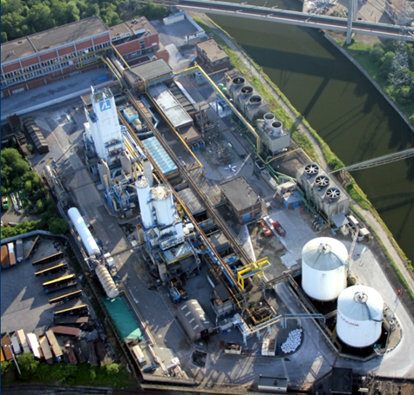 Since 1960, Air Liquide has operated an air separation plant outside Charleroi, a community located near the Brussels South airport. Via a direct connection to a gas pipeline network, this plant delivers industrial gasses to customers throughout the Benelux region. To strengthen its competitiveness in an ever changing industrial gas market, Air Liquide launched a project in 2013 to modernize this facility by introducing technologies that will improve the flexibility and reliability of its production operations. This modernization project is being executed in phases and is ongoing. 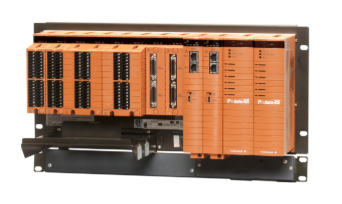 In 2000, the production units at the Charleroi plant were controlled by a mix of technologies, including PLCs and the Rosemount RS3 and Emerson DeltaV control systems. That same year, Air Liquide launched the Sibelius project to build a new production unit at Charleroi. In keeping with the company’s global agreement with Yokogawa, the company was asked to install its CENTUM CS 3000 DCS to control this new production unit. Advertised as the highest availability system on the market, the CENTUM CS 3000 DCS performed flawlessly. By 2012, the industrial gas market had undergone significant changes. Declining demand from the steel industry and other factors resulted in an increased need for flexibility in production capacities. In response, Air Liquide formulated a new mid-term strategy for this site that involved a step-by-step revamping and transfer from older relay-logic, PLCs, and the remaining Rosemount RS3 and Emerson DeltaV systems to the CENTUM platform, to be carried out over a 5 to 10 year timeframe. Yokogawa joined forces with Air Liquide to co-innovate the step-by-step plan based on Air Liquide’s specific requirements. As in every project, it is always a challenge to avoid unpleasant surprises. As Air Liquid’s production processes are generally considered to be highly mission critical, a risk analysis was done before the project order was placed. Personnel from Air Liquide and Yokogawa met a number of times to check each step of the project for possible risks. Five challenges were identified that Yokogawa would need to address to ensure that the project went smoothly. Although Air Liquide’s wish-list was long and challenging, Yokogawa has been able to meet their expectations. One challenge for Air Liquide was the need to prepare its previously installed CENTUM CS 3000 DCS platform for the future and to avoid whenever possible the necessity of making “regret investments” for the addition of new I/O. 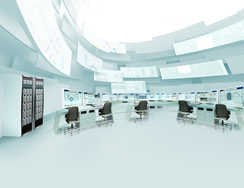 Since 2000, the CENTUM platform has evolved, and the current CENTUM VP R5 offering incorporates the latest human machine interface (HMI), network, and controller technologies. The upgrade from CS 3000 R3 to CENTUM VP R5 was done in steps, starting with the installation of the CENTUM VP R5 software, the replacement of the R3 operator stations with R5 operator stations running the 64-bit version of Windows 7, and the installation of new 16:9 24” monitors. Among other things, the upgrade to the latest Windows version eliminated the dependence on Windows XP, which Microsoft had stopped supporting in April 2014. As CENTUM allows the coexistence of R3 and R5 operator stations, it was decided to do the R3 to R5 upgrade one operator station at a time. Having both the old and new stations in the control room made it easier for the operators to acquaint themselves with the new HMI. 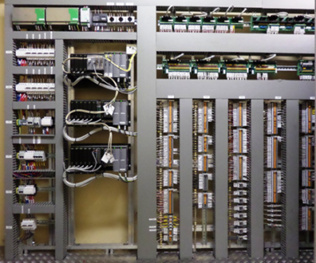 In the second step of this upgrade, new AFV30D type controllers were installed in remote I/O shelters and connected to the DCS via a redundant fiber-optic Vnet/IP control bus. This enhancement of the DCS platform helped to prevent “regret investments” by accommodating new I/O points from two compressors and a diesel group. For Air Liquide, it was very important to be able to connect its existing R3 HMI to both the new R5 field control stations (FCSs) and the existing CS 3000 type controllers, thus avoiding the need to use separate HMIs . Since 1975, when Yokogawa first introduced CENTUM to the market, backwards compatibility has always been a key driver in the CENTUM platform concept, allowing CENTUM customers the option of phasing in the integration of new technologies into their existing control systems. As such, there is no problem using both the R3 and R5 software on the same DCS system network. The new Vnet/IP control network (1 Gbps Cat5e) can also be easily integrated into the existing coaxial V net (10 Mbps), and the latest generation controllers (AFV30D) can co-exist with older generation controllers in the same DCS configuration. Furthermore, the conversion of the control and HMI applications from R3 to R5 is automatic and requires only minimal verification of graphics. Operators are able to immediately find their way around the new R5 interface and operate it just like they did with the R3 interface. As plant maintenance shutdowns are planned long in advance and are infrequent, an additional and even more important challenge was the need to upgrade and extend the system without having to shut down the process, i.e. while staying online. All CENTUM systems are designed with this need in mind. The benefit for the customer is that plant uptime is maximized. Air Liquide’s plant topology involves distributed I/O shelters, called “Modins,” that are spread throughout the plant. With the upgrade to the latest Vnet/IP control network (1 Gbps, redundant), it became possible to extend the DCS by installing new high capacity AFV30D controllers in these shelters that will allow the control of additional I/O points. Swift project execution was also very important to Air Liquide, and for this reason the company decided to keep a single point of communication and responsibility. As such, Air Liquide chose to have all the electrical and installation work coordinated and supervised by Yokogawa. This proved to be very successful, and this is now the standard operation mode for all projects. During the execution phase some issues required special attention from the Yokogawa project team. For example, when replacing an R3 operator station with an R5 operator station, the team had to resolve a technical issue involving the change of domain numbers. The problem was quickly resolved without impacting operations. During the initial discussion in the sales phase, Air Liquide highly appreciated Yokogawa’s explanation of a clear path forward from their current situation that would allow them to meet their future needs without compromising their challenging constraints. This contributed to Air Liquide’s decision to go ahead with this project. This was the company’s first R3 to R5 migration project within the Benelux region, and the lessons learned proved very useful at the company’s other sites. And as has already been mentioned, the progressive conversion from the R3 operator stations to the R5 operator stations gave the operators the opportunity to gradually adjust to the new HMI. This also allowed for the fallback to R3 should something have gone wrong, and this was appreciated by Air Liquide because of the criticality of this plant’s production. 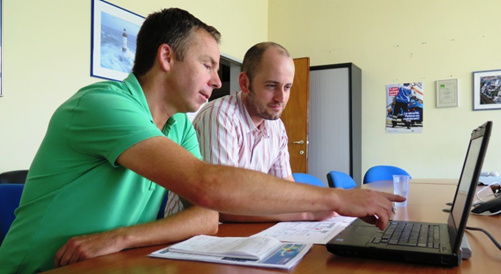 Plant manager Jacques de Arizon was satisfied that Yokogawa was able to deliver its solutions on time and on budget. Mr. de Arizon also noted that each of his operators gladly accepted the R5 interface without any complaints whatsoever. The operators appreciated the brief but adequate training on the use of the new R5 HMI interface that they received from Yokogawa. Mr. de Arizon highly valued the Yokogawa team’s quick response to unforeseen issues and their approach of working as partners to solve problems and deliver solutions as promised.